Available in 12 popular sizes. 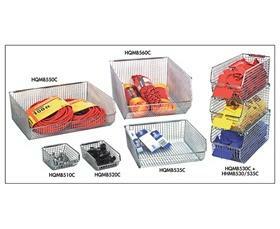 New patented wire Mesh Bins are an industry exclusive. Our innovative mesh design offers a nickel-chrome finish and a 3/8 x 3/8" grid pattern allowing complete visibility of the bin's contents. 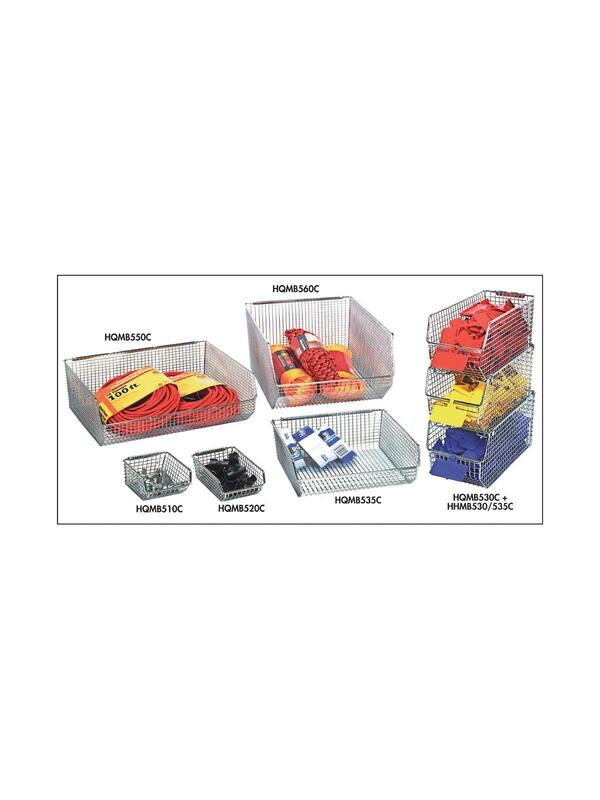 This unique mesh pattern provides a dust free storage environment. 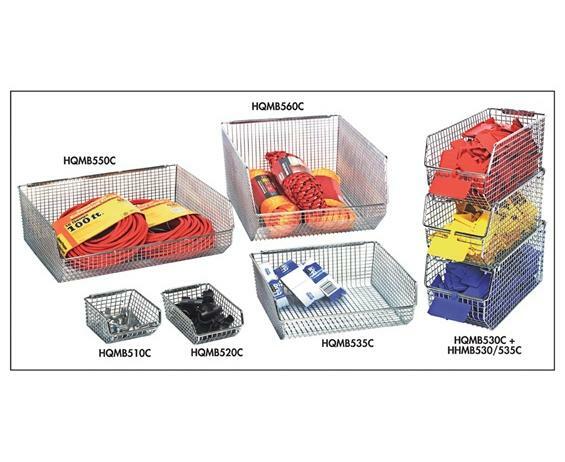 Bins feature rear hanger that allows them to hang from any louvered wall panel or rail system. Optional Side Stacking Hanger, sold separately, allows Mesh Bins to stack one on top of the other. FOB Shipping Point. See Related Items tab for Wire Louvered Panels and Wire Louvered Panels - Offset Mounting Clips. 5-1/4 x 4-1/4 x 3"5-1/4 4-1/4 3"